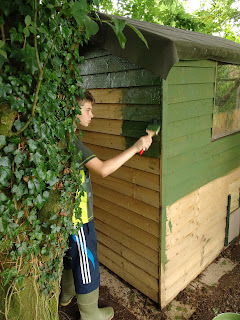 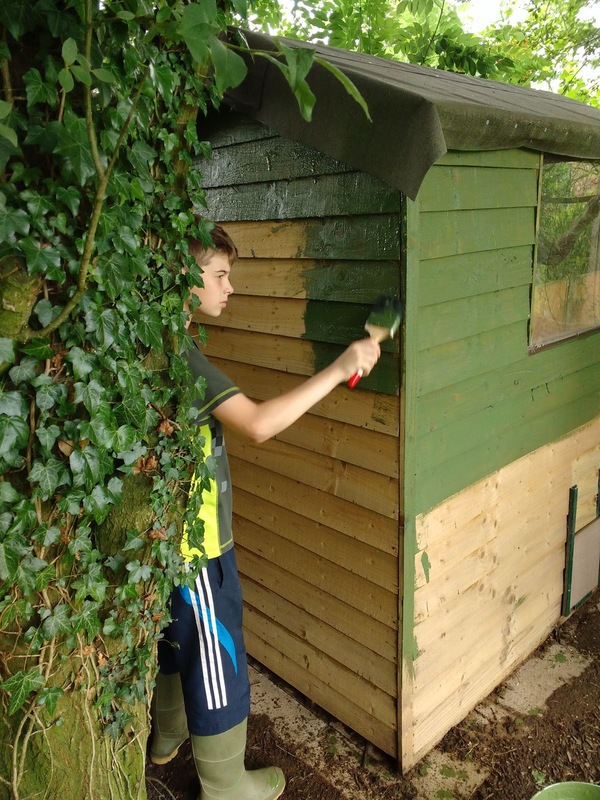 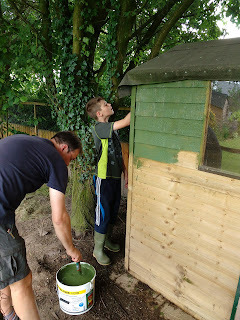 Mark wasn't at work this morning so he has been busy cleaning out the hen cabin and then he painted it with Luke. 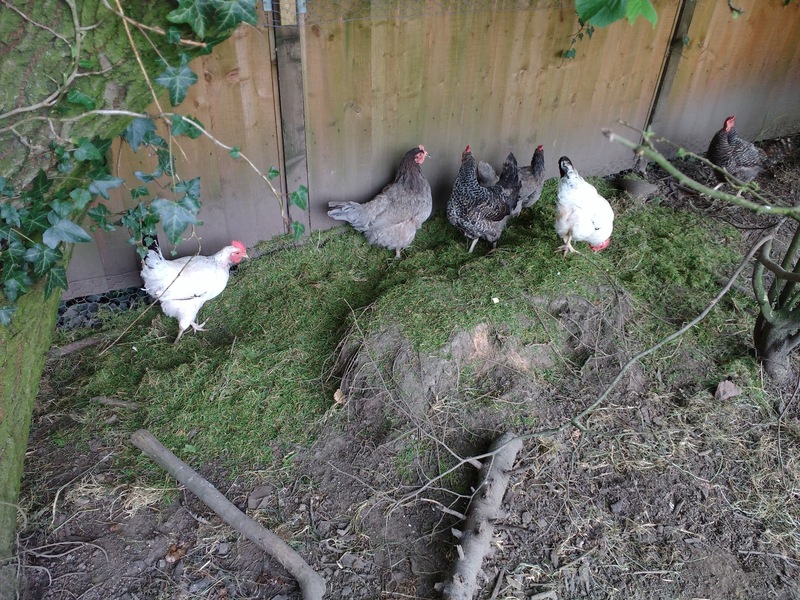 They kept the hens at the other end of the pen whilst the paint dried and treated them to the moss that Mark had raked out of the garden. 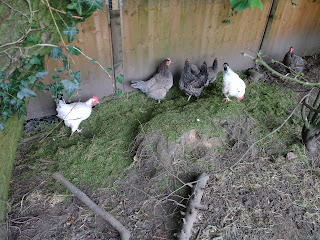 The mower is doing a great job as there was nowhere near as much moss as normal.